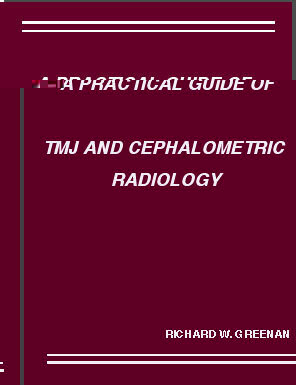 A Practical Guide to TMJ and Cephalometric Radiology" by Richard W. Greenan. If you're in practice, you need this one! Loaded with just the pearls! Includes updated techniques and exposure charts for all intra-oral and extra-oral radiography, radiation dosages, technical information for all manual tanks and automatic processors.